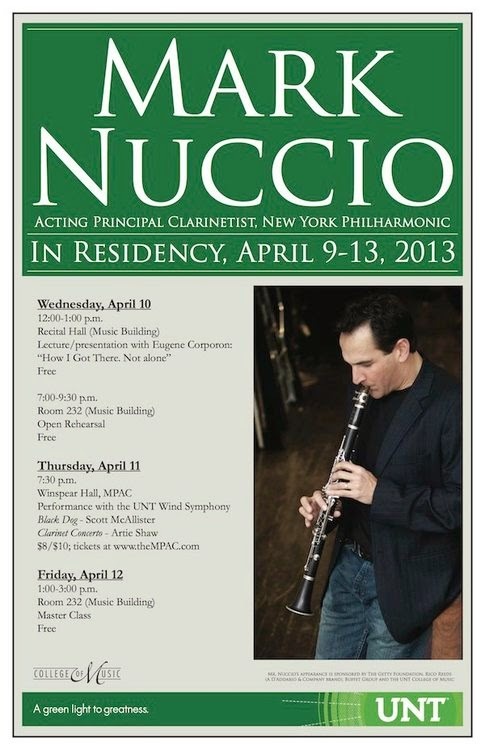 Mark Nuccio is going to be in Denton this week for a residency at the University of North Texas. Even if you are not in the area, the Thursday night concert will be broadcast live on the internet at http://recording.music.unt.edu/live. I really enjoyed his master class and performance at Texas Clarinet Colloquium last month so I am going to try to catch a few of the events.